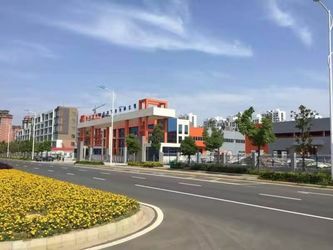 Peiyu Enterprise wholly-owned below companies:Shanghai Peiyu Packaging Technology Co.,Ltd,Anhui Peiyu Packaging Technology Co.ltd,Shanghai Peiyu Machinery Manufactruing Co.Ltd,Jiangsu Peiyu Food&Beverage Co.,Ltd,Jiangsu Heyu Packaging Materials Co.,Ltd. 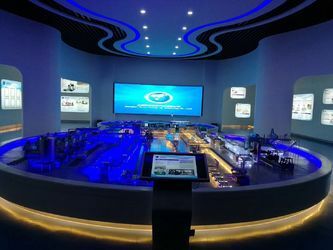 We are the factory that Providing turnkey project solutions for worldwide liquid and solid products manufacturer(involved dairy product industry ,food &beverage industry ,condiment industry, wine industry, pharma industry and so on). 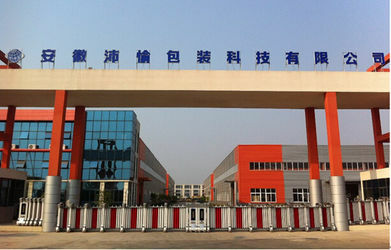 Looking back the 14th years repeatedly.2004-2008,Peiyu enterprise established Shanghai Peiyu Machinery Manufacturing Co.,Ltd&Zhangjiagang Packaging Machinery Co.,Ltd.At this time,we successfully manufactured shrink sleeve labeling machine for 100ml ADcalcium milk,rotary hot melt labeling machine,medium and low speed film packing machine,single and double head sleeve labeling machine.We also set up representative offices in Beijing,Zhengzhou ,Chengdu and R&D center in Xi’an. 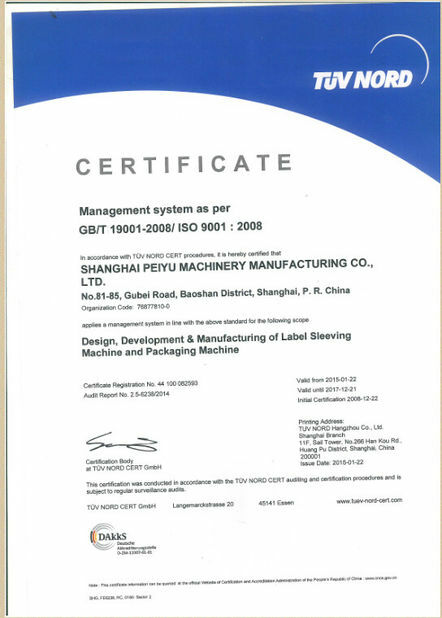 2009-2011,Peiyu’s new branch Jiangsu Heyu Packaging Material Co.,Ltd and Shanghai Peiyu Packaging Technology Co.,Ltd were established,which mainly produce and design PVC/BOPP/PET/PE film,conveyor ,air conveyor.At this time ,we successfully designed linear hot labeling machine for Huiyuan Group ,wrap around carton caser ,automatic sterilizer retorts,high speed film packing machine, robot palletizer, low/high level depalletizer,automatic loading and unloading basket retort,handle applicator.Our company won “Gold Supplier of Labeling Equipment in China Beverage Industry”and :Tiangongzun”top 10 enterprise in packing industries depend on our professional downstream packaging solutions. 2012-2013，Peiyu enterprise cooperated with Tongli to establish Laizhou Tongli Packaging Technology Co.,Ltd.Peiyu enterprise formally enter the cans production line and success and raise the well-known enterprise cooperation, such as Yangyuan drinks, Wanglao ji.It’s opened a new chapter in cans production line and has realized the full automation of cans production line. Our indepaendent R&D high speed glass bottle palletizer was used by YanjingBeer. 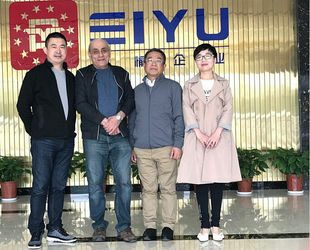 With the development of company,Peiyu enterprise stationed in Suchu Modern Industry Park in 2013,a national economic development zone in Chuzhou, Anhui Province. 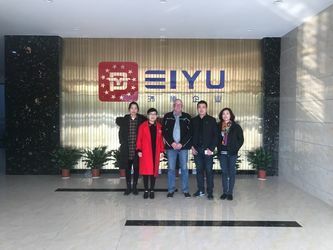 2014-2015,Peiyu successfully completed turn-key projects for Baoyin Can of Baosteel, TingHsinGroup,Southern Black Sesame Group,LuLu Group,YinLu Chengdu,Hairong Shanghai,Youyang Jiyuan,Weiwei Milk,Bencao Heze, Moutal Group,New Zealand New Water,Unilever, Zhongya Hangzhou and many other famous enterprises.At this time,our new manufacturing base 60,000m in Suzhu Modern Industry Park has been fully completed,Peiyu enters into a new stage of development. 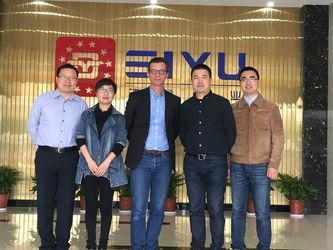 2016-2017,our self R&D retorts are successfully break into the market and used by Jinyi Jilin,Bencao Heze,Tianjin Technology University,Senyuan Chengde,BONDUELLE France and many other foreign customers from Indonesia,Malaysia.And Long-term cooperation with well-known domestic enterprises,like Yili Group,Weiwei,Pyrotek. including retorts,palletizer&depalletizer,loading&unloading machine case packer, labeling machine,conveyor system etc. 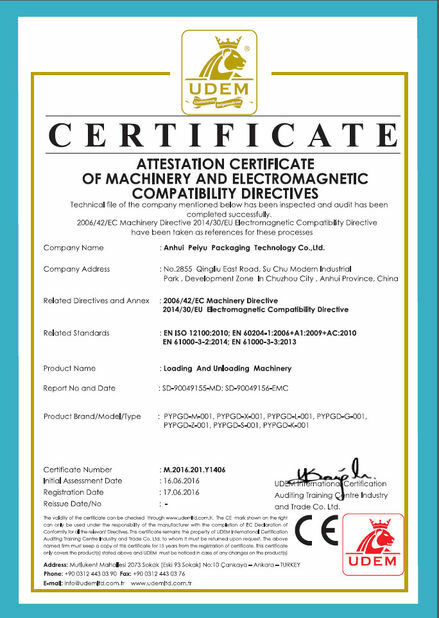 Peiyu’s intelligent machinery are mainly applied to food &beverage industry ,condiment industry ,wine industry,phama industry. 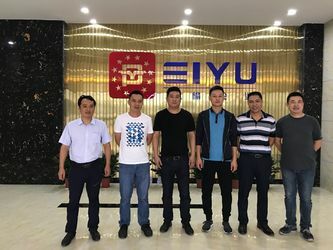 We work together with Yili Group,Lulu Group,Weiwei Group,Hebei Yangyuan Company,Wong Lo Kat Group,Mengniu Group,Southem Black Seasme Group ,Baoyin Can of Baosteel, YinluChendu, Yanghe Group,Bencao Heze,Jinyi jilin,Zilin Vinegar,Jiyuan youyang,Uni-President Enterprises,Ting Hin Group,DANONE Group,Unilever,Zhongya Hangzhou and many other famous enterprises.Also our products are exported to many foreign countries in North America,South America ,Africa,Europe and the Middle East and maintain a high reputation in the market.We gain the title of “outstanding supplier”with our high quality products and services. Peiyu establishes R&D centers in Xi’an, Chuzhou ,Continuously providing our clients with advanced technology.With the fomal production of our new manufacturing base 60,000㎡ in Chuzhou,With Large processing workshops, For equipment manufacturing precision and stability provide a highly reliable guarantee.Modern factory building, research and development center, processing center, testing center, assembly workshop, spare parts warehouse, office building, residential facilities, etc.